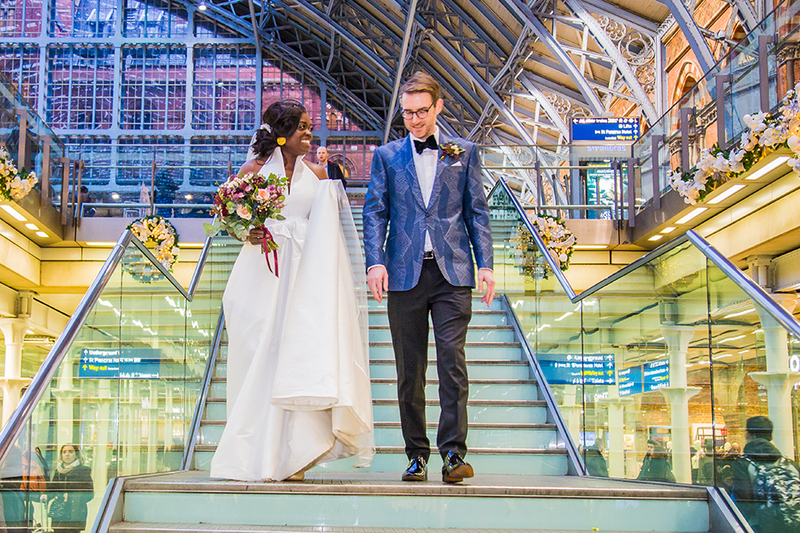 Searcys St Pancras is the ideal location to be whisked away by the Eurostar or private carriage to your honeymoon destination. 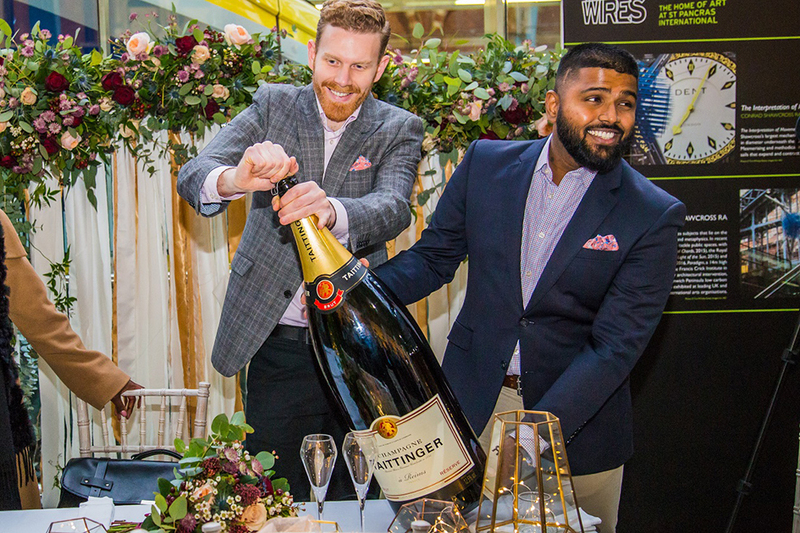 Our dedicated Event Manager would be more than happy to provide you with a bespoke offer and assist you with the planning of you special day, so please do get in touch. 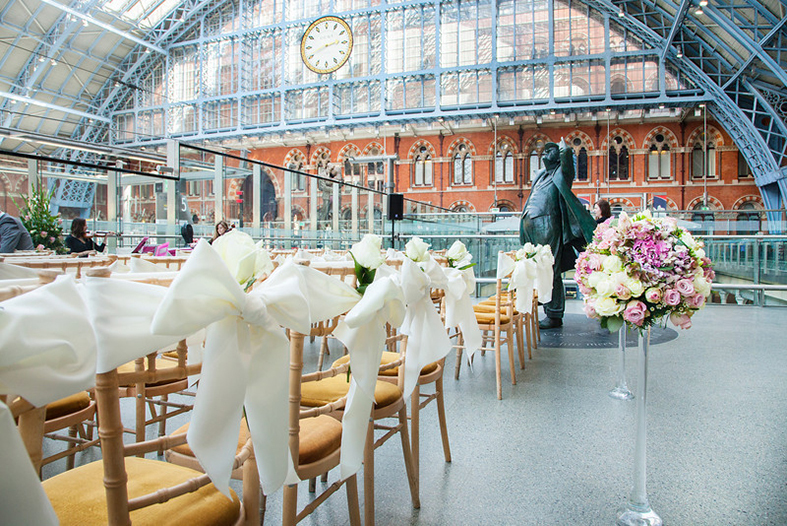 Discover a stunning restaurant in the regenerated St Pancras International Station, created by respected designer Martin Brudnizki and situated opposite the Searcys Champagne Bar on the Grand Terrace. This unique London restaurant menu combines old favourites with modern classics using local ingredients. 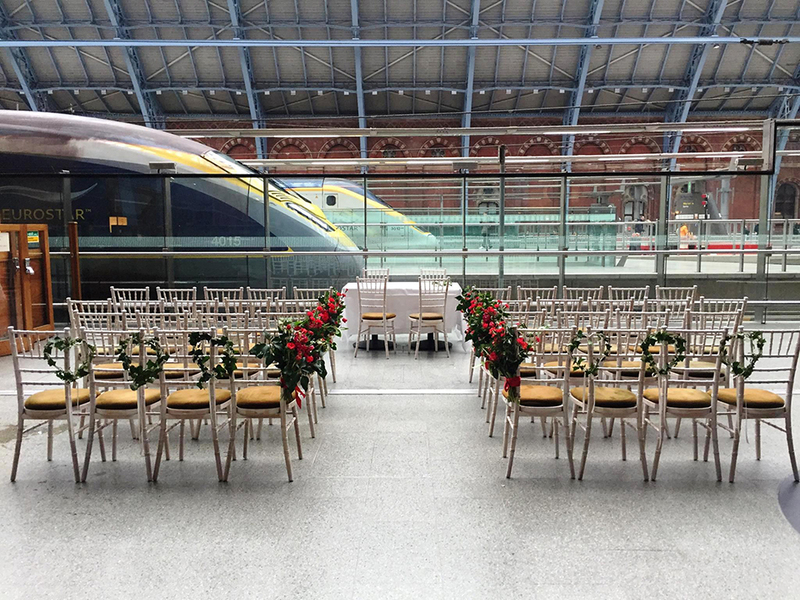 We had a fantastic day - getting ready at St Pancras, having the ceremony actually IN the station, followed by afternoon tea for 40 people at Searcys. We couldn't have asked for a more fabulous time! 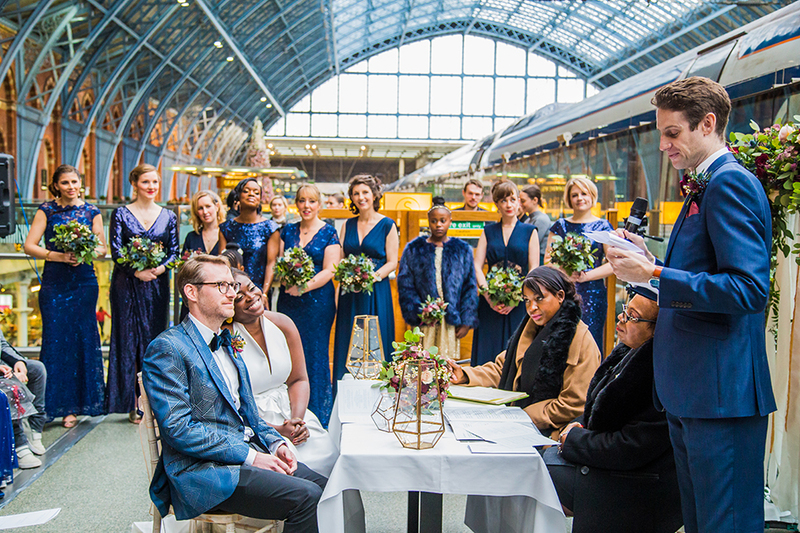 It was a pleasure organising our wedding ceremony and reception with Searcys. From start to finish we had amazing help from Karolina and she was available for face to face meetings when needed. We were even advised to use the Nebuchadnezzar we ordered as a guestbook, which has made a stunning memento. The ceremony and reception were well run. The ceremony was made extra special by Searcys accommodating a choir and flower arch we brought along to make it an event to remember. The staff ran things smoothly all day, even helping set-up of the venue. It was an unforgettable day enjoyed by all our friends and family. 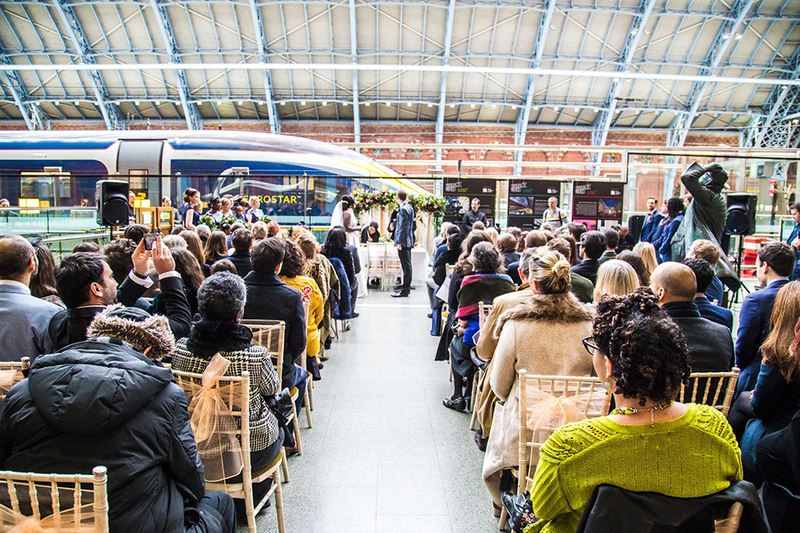 This is a lovely, flexible venue with fab decor providing open as well as intimate spaces - from private dining for eight to exclusive hire for 120 seated and the luxury of a champagne bar right next door too. Iwona loves weddings too - you can sense this is more than just a job.